Ridesharing company Lyft has reached an agreement with the Jacksonville Aviation Authority that will allow the company to pick up fares at the Jacksonville International Airport. Ride-sharing companies are prohibited from picking up fares at Jacksonville's main airport until the agreement goes into effect May 1. Lyft paid $5,000 to execute the agreement, Michael Stewart, JAA director of external affairs, told the Jacksonville Business Journal. There will be an additional $3.25 pick up fee for each fare piked up from JIA. 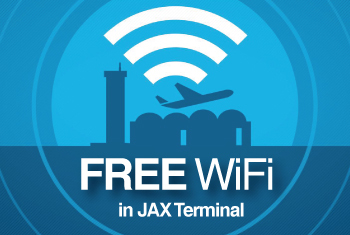 "We're excited to be the first transportation network company to operate at JAX and would like to thank Steve Grossman and his staff for their collaborative work in creating this partnership," said Kirk Safford, Lyft's Senior Manager of Airports and Venues, in a prepared statement. Stewart said that while Lyft is the first, negotiations are ongoing with Uber. The agreement also requires that lyft drivers have a valid Florida driver's license and automobile insurance. Also, all drivers will have to complete a criminal background check and a DMV record check. Their vehicles must also pass a 19-point inspection. Lyft drivers will also use a technology that will ping the airport as it enters airport property, ensuring accurate record keeping, according to a JAA news release.